Set in the neon-soaked future of the fictional nation of Novistan, you are the chief curator of a national news channel and must deal with hot-button issues such as genetic implants, killer drones, zombie plagues, and synthetic booze to determine which stories get published, and which get buried. Add your own personal slant to the news, and then watch as public opinion sways to your stories. But what exactly are these stories? And are they the truth? Is this about the hand sanitizer thing again? To find out, you’ll meet the inhabitants of the city during your daily commute and learn more about their personal lives and struggles, which will inform decisions you make later at the editor’s desk. But be careful, influencing public opinion may help solve one problem only to make another one much worse. And therein lies the dilemma: do you stay loyal to the truth, to your country, to your neighbors, or to your family? It’s idealistic to assume you can be loyal to them all, and the sad reality is that in Novistan, as perhaps in our world as well, one has to take sides. To best understand how Headliner:NoviNews delivers on its promises, it’s important to know what the game is, and what it isn’t. First of all, it isn’t a newsroom sim, or a random story generator, or a political god-game. Instead, it’s more of a narrative adventure game, but one without explicit decision making. You don’t directly control the plot or even your own fate; rather, the events unfold based exclusively on which news stories you choose to publish. Sometimes the results are obvious cause-and-effect, but more often than not…way more often…the end results spiral into something that you didn’t anticipate. It’s these moments of doubt that make you second guess your own judgement and moral decision making, and where Headliner:NoviNews really shines. I’ve not encountered a game this giddily guilt-driven before, but it’s a guilt-trip I’d happily take over again. The gameplay itself is incredibly simple and straightforward. You are presented with several cards that have headlines and brief summaries of various news items in one of four main categories (health, crime, foreign relations, and recreation). Use a green rubber stamp to approve a news item, or a red one to kill it. Each news story has a particular bias, but it’s surprisingly difficult to maintain a consistent viewpoint, as many of the issues overlap in various ways. The actual “headliner” part of the game is the least interesting aspect; you will spend far more time engaging with the characters outside of your open-plan office, discovering first-hand the wisdom or folly of the decisions you make. The entire nation of Novistan is represented symbolically by a single neighborhood, and as you walk through it each day, you can see the state of people and buildings change based on the fallout from your headlines. The graffiti on buildings shifts to support or denounce the things you broadcast; you can stand outside the all-night noodle-bar and eavesdrop on conversations to marvel at how readily they parrot your words; even the size of the queue in front of the ER is a reflection of policies you promoted. At its worst, riots, vandalism, beatings, run-away drones, cyber-plague, and toxic vomiting overtake the once picturesque stroll, turning your evening commute into a Cronenbergian nightmare. The game is divided into days, with a fixed number of chances to influence society and interact with the other characters before the story ends, usually in a way that’s depressingly, yet hilariously, tragic. Headliner: NoviNews generates a poetic looking summary of your narrative, which you can share with others, have emblazoned on a t-shirt, or perhaps use as a design for one of those corporate inspirational posters. I did achieve a few good-ish endings, but it’s the bad ones that are the most fun to recount. And what does that say about us as a society that it’s more fun to share bad news than good? The playtime itself is extremely short, averaging somewhere between 1-2 hours to complete. At first I thought this was a limitation, but realize now it’s a valuable asset. If you play this game only once, you will no doubt enjoy the experience and, hopefully, it will cause a moment or two of contemplation. However, if you play through multiple times, so much more is revealed that it suddenly becomes a different game entirely. 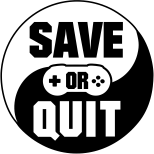 Having a shorter run-time allows you to play it again and again to try different combinations, ideas, and tactics, all for the purpose of unlocking the multiple endings that await the fate of the unsuspecting and naive viewing public. Aside from the main plot, there are numerous other events that can unfold during your time in Novistan. Some memorable highlights from my various playthroughs: a drone, who thought it was a cat, saved me from being assassinated; I adopted a dog but couldn’t find food for it because I convinced the sole grocer in town to only sell booze; I fell in love with my co-worker then had her deported; I got yelled at for not sanitizing my hands properly; I advocated for a militarized police force that would make ED209 proud; I paid off an audience to boost my alcoholic brother’s struggling comedy career; and then there was that mass suicide…but you have to believe me, that one wasn’t my fault. All of this madness is fun because its unabashedly make-believe, but at the same time it’s horrifying to watch, because in the back of your mind you know there are real world parallels. Despite the faux sci-fi setting, the themes presented are clearly meant to reflect current social and political issues. Healthcare, immigration, legalization, big-pharma, conspiracy theories, and terrorism are all represented in some way in the subtext of this game. Admittedly, the handling of these is a bit simplistic, but that’s the point, I think. As satire, Headliner: NoviNews reduces all of its collective anxieties into easily digestible sound-bites, all the better to skewer our own tendencies to do exactly the same thing in real life. The graphic and sound design of the game itself are excellent. The overall art direction is pitch perfect, with it’s techno-noir color palette, stylized backgrounds, and moody atmosphere all mixing seamlessly to bring the two-dimensional city to life. From the ever circling glare of streetlights, to the seemingly endless raindrops hitting the pavement beneath your feet, Novistan is vibrantly electric, despite being perpetually on the cusp of utter anarchy. Every once in a while there’s even intermittent static that overlays your screen, as a reminder that you are always being watched. The character designs are cute and well drawn, which adds a disarmingly charming counterpoint to all the dire events unfolding around them. The music deserves special mention, as Headliner: NoviNews features a seriously groovy soundtrack that fully compliments the visual style (hey, Unbound Creations, where’s the OST?). There are a few game elements that could use more polish, though none are likely to negatively affect play. For example, the stamping mechanic is clumsily implemented. The green checkmarks and red X’s frequently hang off the edge of the cards, and the graphic for the rubber stamper itself is surprisingly garish, considering the visual flare of the rest of the game. There’s also no way to change your mind, or undo once you’ve stamped a card. To zoom into the cards you have to drag them up and hold the mouse while you read them, which is awkward considering that reading and stamping cards is one of the primary tasks of Headliner: NoviNews. Also, for a game so heavily invested in replayability it would be nice if there was more variety in the news stories. Even though there are multiple endings and a myriad of small events that change each time you play, the actual headlines themselves don’t really cycle out. There’s a scant few, and you see the same ones each time, though their order is randomized at least. Also, it’s a shame the stories aren’t more nuanced. Their bias is always black and white, whereas they might benefit from more complex choices, encouraging the player to read the text more carefully. The only other criticism depends on your expectations of what a game should be. Headliner: NoviNews is not a game in the traditional sense; there are goals and outcomes, of course, but the choices you make are not about skill. You can’t not finish the game, there are no puzzles, or inventory, or points or anything resembling a challenge. You aren’t judged on high scores, unlocked achievements, or time spent. You can’t lose, or get stuck; there’s really only one thing you can do, and that is to make the right choice. But it turns out this is the hardest challenge of all. In my life so far I’ve seen smart people fooled by dumb things, and dumb people fooled by smart things. It seems to be undeniable human nature that we’re all gullible, no matter how clever we may think we are. It’s not that we’re willfully ignorant, but we’re so eager to believe in any truth that helps to explain the confusing world around us, while the truth itself is inert. It just sits there, quietly, waiting for us to make something of it, and often times, lacking any proper instruction manual, we put the pieces together in ways that are not expected. This is a theme that runs deeply throughout Headliner: NoviNews — truth may be what you make of it, but the consequences, no matter how well intentioned the causes, are always unexpected. Still, the choice is yours. If you so choose, you can literally watch the city burn from the safety of your high-rise apartment then sleep soundly on a cushy pile of money. The flip side is that for each outlandish outcome like this, there is an equally tragic one that catches you off guard. Some truly devastating things happen in this game, and as a player, I genuinely couldn’t shake the guilt of having caused it. And it’s usually the personal stories that cut the deepest. Perhaps this too is a commentary. In this game, the teaming masses are represented by low-poly figures, mostly indistinguishable from one another. But the few characters that you do personally interact with have more detailed illustrations, poses, expressions and animations…in short, they are more human. It’s easy to laugh at the misfortunes of nameless and faceless polygons, but it’s a different story entirely when it’s someone you know. 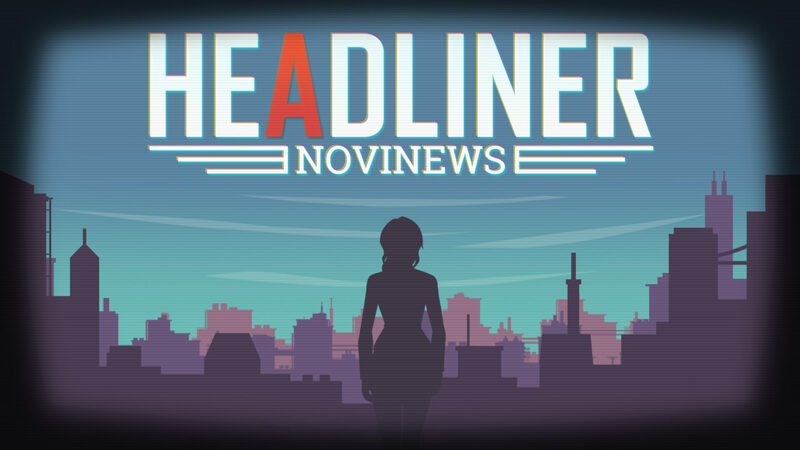 Headliner: NoviNews is a fascinating and rewarding game, as well as being a sharp techno-socio-political parody. Not only does it beg to be replayed, but it’s a great experience to share with friends, family, and even strangers, because it’s a wry way to get a dialogue going on some otherwise serious subjects. If you’re at all interested in narrative games, adventure games, political games, or just need a cathartic game that pushes “choices matter” to new levels of satirical absurdity, then grab a rubber stamp and head to Novistan. I hear there’s a job opening as a journalist. Moral compass optional.